New Delhi: As the 2019 Lok Sabha elections are drawing closer, controversy over next PM candidate has surrounded ruling NDA. After Bengal and Maharashtra, BJP’s ally in Bihar, Janata Dal United (JD-U) has now asserted that its party chief and Chief Minister Nitish Kumar can also be a Prime Ministerial face for the forthcoming polls. Bihar Janata Dal-United (JD-U) President Vashisht Narain Singh had also said that Prime Minister Narendra Modi and Bihar Chief Minister are two faces of the National Democratic Alliance (NDA). Considered close to the Chief Minister, the JD-U leader said that Nitish Kumar has earned the image of a leader committed to governance and development on the basis of his hard work in Bihar. 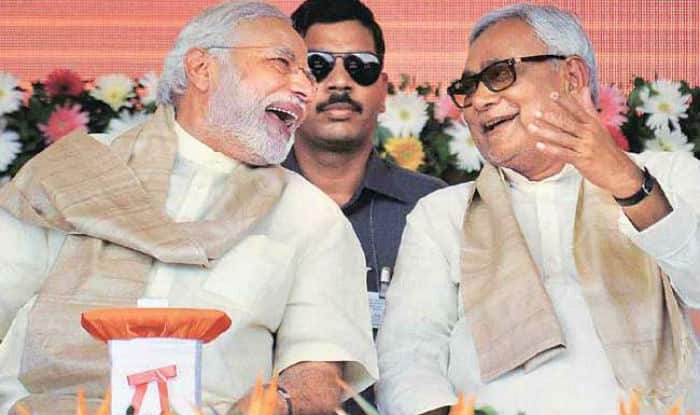 Another senior JD-U leader KC Tyagi had said that while PM Modi is a popular face at the national level, Nitish Kumar is the most popular face in Bihar. “In Bihar, popularity of Nitish Kumar is intact. Nitish Kumar is most popular face,” Tyagi had said. Earlier, Maharashtra government’s Vasantrao Naik Sheti Swavalamban Mission (VNSSM) chairman Kishore Tiwari had asked Rashtriya Swayamsevak Sangh (RSS) to replace PM Modi with Union minister Nitin Gadkari if the Bharatiya Janata Party (BJP) wishes to win the 2019 Lok Sabha polls.